How is it to shoot a wedding photographer’s own wedding? I been reading Ke Wynn’s blog (Whizarts) for almost two years and finally met him personally over the wedding fair at Carcosa Seri Negara. 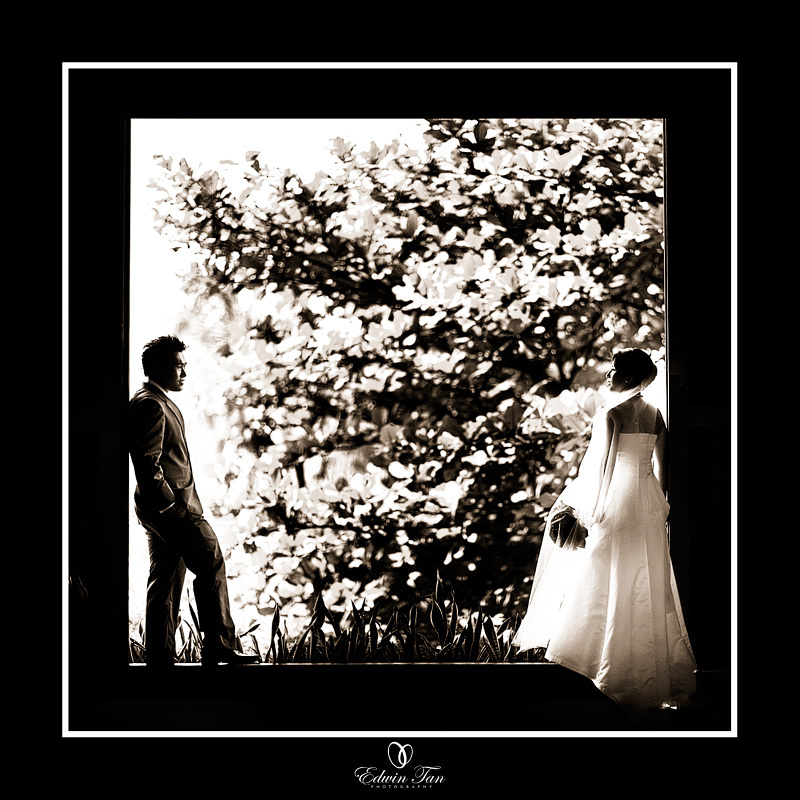 After joining Exes Studio, came to know that Patrick will be shooting for Ke Wynn & Alishia’s garden wedding at Saujana Resort which was the same date as one of my wedding assignment- Winon & Yiwen. Fortunately, there is still time gap in between both event and I ask Patrick to allow me to tag along for this assignment and it was my first time following Exes Studio team since I join. I didnt shoot a lot that day..was observing and enjoying the great garden wedding ceremony and have no pressure since it was merely a tag along for me. Like Ke Wynn saying in his wedding speech, the afternoon rain stopped an hour before the garden wedding ceremony and throw in a beutiful cloudy sky to compliment it, which remind me of another garden wedding, Wilson & Esther which have similar weather concern and at the end, we have beautiful sky and nice lighting for the wonderful moments. Just to share with you some of my shoots for the wedding ceremony. 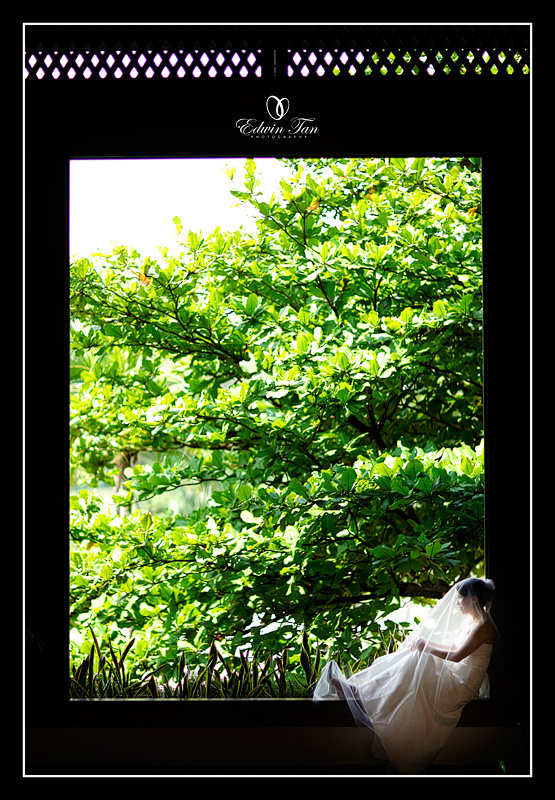 The Big Window Space at the lobby area..love this so much..
Ke Wynn - Awesome images Edwin! Thank you so much for rushing over to our place to capture beautiful shots. Lovely! edwintan - It is truly my honour to shoot for your wedding.. nice meeting you again bro! edwintan - thanks Jan !! Kee Sitt - This is awesome Edwin! Love the big window shots and pool reflection shot! edwintan - thanks bro, nice meeting u! Pamelyn Tan-Corsi - They are lovely shots Edwin. You are incredibly observant and detail. Your creativity and angles are beautiful and awesome. Truly, your master pieces speak more than a thousand words. Kudos!! I have been amazed by the stories you tell through your lenses. Collin - I like your set of photos with very shallow DOF. Are u using the 85mm 1.4 exclusively? Paulo Castro - approach perfect! much appreciate the kind of images that captures. It with my way of seeing. cheers! Naising Bega @ Nainet - wow Edwin…it is really very beautiful.